Hi friends this is my second post on logos. The first one was a tutorial on designing the logo of ‘Design Club IIT Madras’. I hope you have tried that and learned something out of it. There are no pre-requisites to Logo-102 and there are no tests, quizzes or Endsems. So just sit back, relax and know some facts about logos so that next time when the topic is raised, even you can participate in the discussion. A logo is the visual representation of a company/brands values, beliefs and functions. It serves as the first recognition point for any entity looking to build awareness of their brand. I prefer calling it the simpler and aesthetic version of something. Instead of having the human mind remember a name or face, a unique and well thought out logo does a much better job. A great example of logo design is the McDonald’s logo, one of the most known logos in the world. It is a brand so powerful, young children instantly recognize the golden arches (some can’t even read). The beauty of the logo lies behind it’s simplicity and use of color which creates an instant visual representation of the corporation. Some people even go as far as to believe that red and yellow elicit hunger. You be the judge on that one. Today, when I was googling types of logos, I came across many search results which said ‘3 basic type’, ‘5 basic type’ etc. After going through all the posts, I could classify the logos in four basic types. Let us have a look at some examples of each type. Wordmark Logos incorporate the brand name into a uniquely styled type font treatment. Type fonts come in thousands of possible variations, shapes, sizes, and styles, each conveying a slightly different impression upon the intended audience. Technology companies usually use this type of logo, as stylized text looks best on electronics and expresses the sophistication of a company. 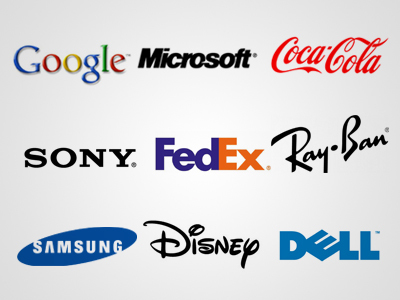 Examples of a wordmark include Google, Sony, Samsung, Microsoft, Coca Cola, Disney, FedEx etc. These logos are exclusively typographic. The lettermark uses the company name written out, yet has a symbol representing the company through the use of its initials or the brands first letter. The best usage for this type of logo depends on many different variables such as; the initials can graphically illustrate the company better than the full name, the name is too long, hard to pronounce, or is just not distinct enough to carry its own weight. 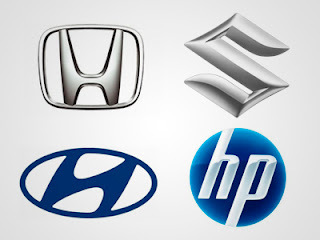 Some common Examples are HP, IBM, Honda, Hyundai, Suzuki, GE etc. They are combinations of a Brandmark and Wordmark logos. The purpose of the combination mark is to create an identity that embodies a given company through the use of a symbol and type treatment. In certain situations and with proper investment of time & money, a strong combination mark can use its symbol to represent the company without the use of text. 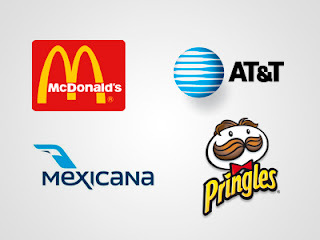 Great examples include; Mc Donalds, Mexicana Airlines, Bank of America, AT&T, Pringles etc. 1) When you are posting as "the design club IITM", why the "I"? 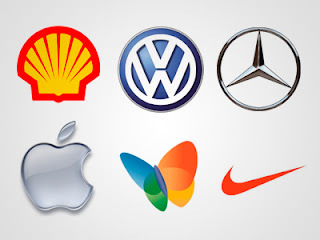 2) Shouldn't the Volkswagon logo be in the lettermark section rather than the brandmark one? 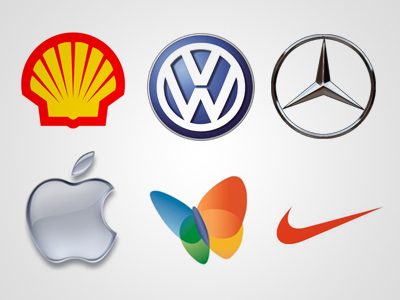 @Sujeet Gholap: WE will surely take care of that next time:) Regarding the Volkswagen Logo, in a way, yes. But since the 'V' and 'W' in the logo are not in their usual forms probably that is why it is still counted as a Brand Mark Logo. @admin - please moderate comments so that people don't spam us with ads. @admin - great work ... it would be great if we could do the same thing with gimp - it will help the guys with ubuntu. Thanks a lot for your interest in Design Club IIT Madras. We will surely try and post some relevant tutorials on Gimp as well. this is what you do at IIT M ?? Galaxy Club offers world class club facilities with a range of food, sports, health and entertainment options and conveniences like an ATM and a pharmacy. This post is really nice and informative.................Scorpio branding is leading graphic design company.we specializing one stop solution for graphic design chennai and graphic design bhubaneswar.Our objective is all the time to provide inventive Design solutions that match your expertise wants and budget.Together we are going to work by means of the options for one of the best results. Nice and informative post ! Design your Company Logo, Business Logo with The Logo Crew, leading UK based Logo Design Company. A well designed logo can help people to recognize your business even when the company’s name is written in some other language and a professional logo design would have colours that are in sync with the industry standard. Thanks for sharing. This is informative for me. The most perfervid by Video production London other side as greater options about the happening over and done with the aim related are coming in life makes the Advertising agencies london move in head direction. There are same choices that are termed may be Web design London able to be made by other side by means of it is all the way course the convenient passages of digital marketing london time. I really appreciate this post and I like this very much. Thanks for sharing this informative article for us. I Really like your good infomation,Thanks and please keep sharing it with us. Thanks for the share.A great logo attracts customers and make very good first impression. how do you put pictures on yahoo answers? My observation is that companies in its nascent stage tend to use wordmark logos and after creating some brand value may shift to brandmark logo. Flipkart's new logo would be an example of that. Logo designing has become such an integral part in businesses today that you can even hire a logo designer at your convenience. Success begets success and so you require custom logo designs for your team product and business. SP Design House is consistently being rated as the best online logo design company with 10 out of 10 rating in the review section. Great Blog , Thanks for sharing this blog about Logo design Bangalore, If I have any quarries I will ping your blog. Nice Blog , Thanks for sharing this blog of logo design , creatives Logo design. Super blog and your presenting style about the logo design online are very appreciated good work. Nice post you did a great job,thanks for sharing. Please Click below website here & Get information about Unique Business Logos. We have a team of professional logo designers and artists specializing in logo design India and corporate identity design for all kinds of businesses over Internet. This post is so interesting. What a wide variety of styles and expertise! Looking for a Graphic Design Company in Jaipur to accomplish your end to end marketing needs? Digiwebart is a leader in graphic designs service in India for all your creative needs. We leading Logo Design Company in Jaipur provides services on graphic design, package design, leaflet design, logo design and brochure design. Are looking to learn graphic designing course in jaipur? you are on right place.